A friend of mine tagged on facebook with one of those list of books tags. I really loved it and I want to remember my list and jot it down. Where better but on my blog, with links to my book reviews though only the second half. 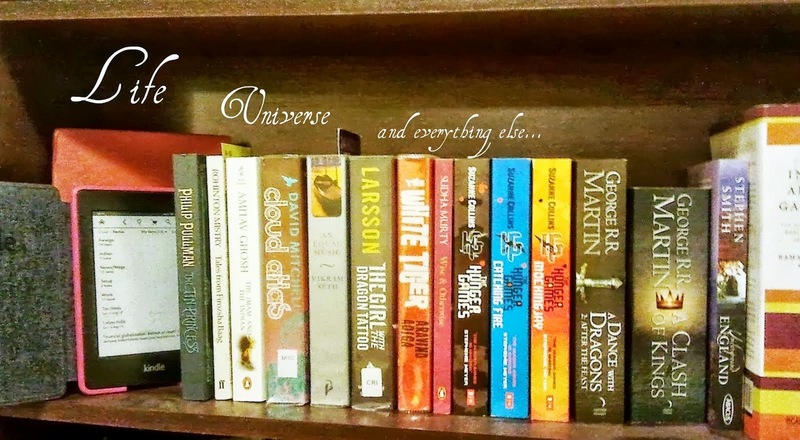 The list of books or series that changed/impacted me (chronological order) . 1. Claudine at St Clare's . The first novel I ever read, at the age of nine. I received this as a prize for coming second in class. I only read it because I was curious why people would read so much. And God knows I never stopped. 2. Famous Five, The Three Investigators, and the evergreen 18, Nancy Drew. My wanna-be detective phase. My friend and I would pretend we were the two investigators. We created mysteries in our imagination and solved them. 3. Brain by Robin Cook.It was a fascinating idea. Sphere beats it, but Brain was first. 4. If Tomorrow Comes by Sydney Sheldon. And I still love Tracy Whitney. And it was the first time I read a book with a feisty female lead. 5. Atlas Shrugged. It's Atlas Shrugged Day today! And of course I love Dagny Taggart. Yet another strong female character with Ayn Rand's objectivism and capitalism, which was a big influence on me. 6. The Alchemist. Bringing magic back. It was like a fairytale for all ages. 8. The Calcutta Chromosome. I stumbled upon Amitav Ghosh by chance and cannot express my admiration for him. 9. An Equal Music by Vikram Seth. I can now enjoy western classical music, especially The Art of Fugue. 10. A Tale for the Time Being. It's like staring at a mirror.